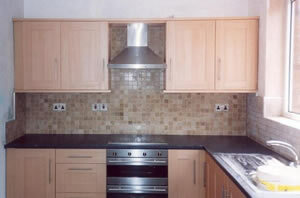 Secondly, tiles can add significant value to your home when compared to decorating with wallpaper, carpets, vinyl, etc. Therefore, see purchasing tiles as an investment – not a cost! In addition, tiles are now available in different sizes, colours, textures, materials and designs, giving you the chance to create a unique environment, tailored to your specific tastes. Will Tiles Make the Floor Cold on My Feet? Because kitchens are considered an area of ‘high traffic’, which are also home to heavy appliances such as washing machines and fridges, it is important that you choose a floor tile that is hardwearing and scratch resistant.